Earlier in the day, before Martin and I sang at the open mic, I rode south along the Potomac to Mount Vernon along the Mount Vernon Trail. 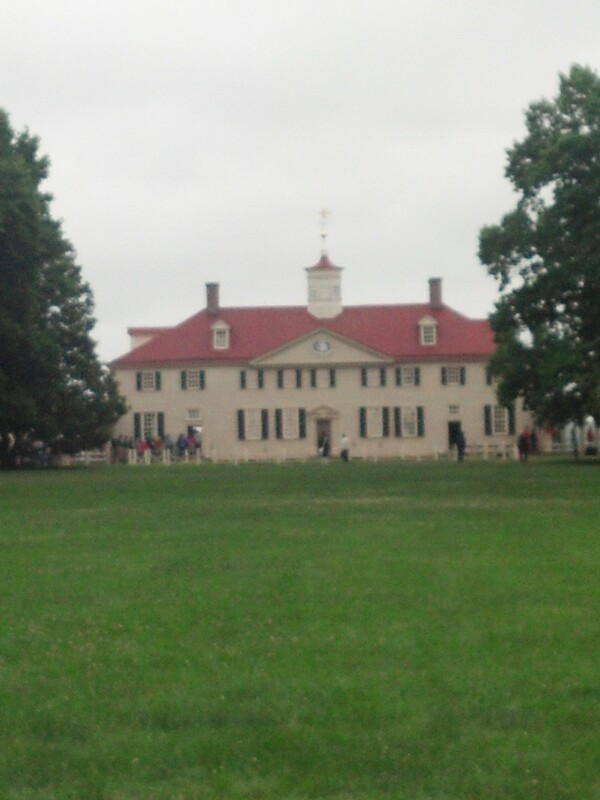 Strangely, I had never visited Mount Vernon before. 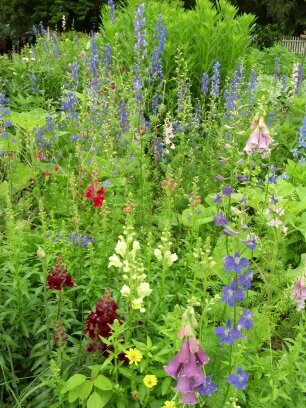 I’ve been to Jefferson’s Monticello twice, and in general I love old houses, but somehow Mount Vernon had always seemed to me far away and mythic. Not at all just the 9 miles or so I actually rode. It was a gorgeous ride through a lot of marshes and then at the end uphill through woods. In a good number of places there were boardwalks laid down over the marsh. It was wet, but not yet pouring down. 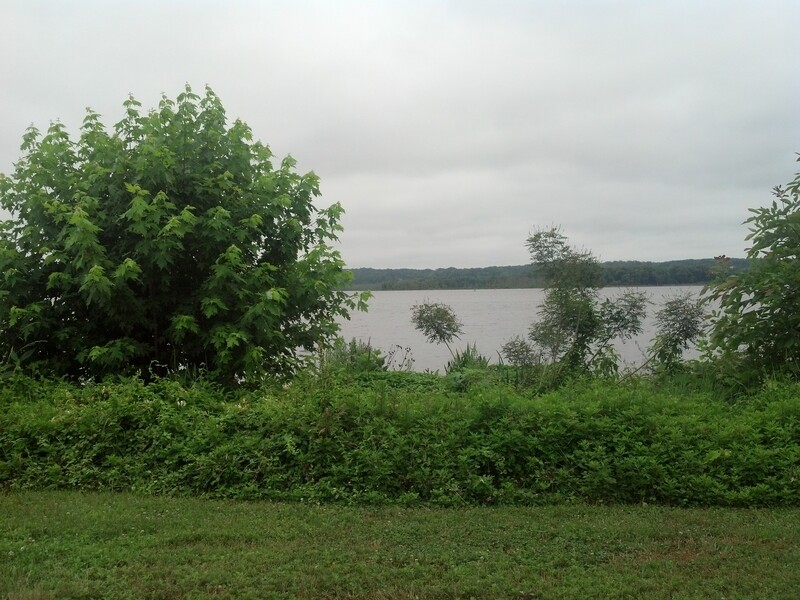 The route follows the Potomac River, and the fresh, salty air was good in my nostrils and on my face. It was quite cool, also, which I enjoyed. One great aspect of traveling northward from Tennessee in June is that you miss the sledgehammer of heat that slams the South starting in May and throughout the summer. It would not be too much to say that what I felt was glee. I’m not accustomed to marshes; I don’t know much about them and I doubt if I would want to travel through them instead of over them, but somehow gliding atop them on the boardwalk gave me the opportunity to look at the texture of the reeds and spy on the marshfowl. I noted the human life as well–a lot of very fit, very driven-looking people, both men and women, were on the trail that day. I wondered which ones were aides in Washington offices, which ones might be lobbyists, and whether some were trying to keep their sanity by riding, bent over their handlebars, as fast as they could. When you’re young, you feel so hurried, so pressed, as if greatness is tapping its toes and waiting for you just around the corner. Somehow, the corners keep giving way to more corners, and the greatness ultimately flushes itself up some celestial dark hole, and there you are, not great, but much wiser, no longer hurrying. I took my time. At the end of the trail, there are several steep hills to go up before you arrive at Mount Vernon. I wished that I could have seen it in sunshine; it seemed like a place that enjoyed the sun. But in spite of the foreboding clouds, I liked the gracious approach, the situation of the mansion amid its surrounding plantings, and the neoclassical simplicity of the house. When you look at it from down the lawn, it seems there is only one house, and that one was the Washingtons’ residence, but when you get closer, you see that there is a servants’ hall on the left and the kitchen building on the right. There were also all the other plantation buildings that a large farm needed at the time, including the miserable quarters of the slaves who built the place and maintained it. I am always fascinated by spinning wheels and looms and blacksmiths’ shops and smokehouses and kitchen gardens…all the things that had to be made and maintained by many hands for life to go forward in anything like a civilized way. And I thought of what life might have been like for that vast hive of human beings who made the lives of the Washingtons so pleasant–dirty, dangerous, hot, frightening, and uncertain. The whole thing was much smaller than perhaps I had imagined it. The houses were small, nothing like, say, Versailles or the great palaces of England. It seemed to me almost comical that Washington had found a way to make the wooden house look as if it had been built of more monumental and president-worthy stone. The painters achieved this effect by deeply beveling the boards, painting them, flinging sand on them, and then painting again over the grains of sand. 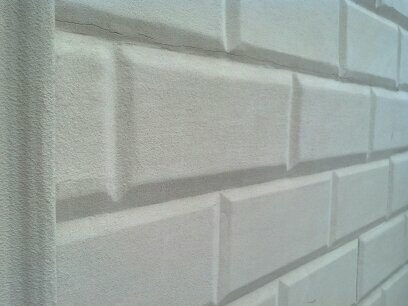 From a distance of just a few feet, it really does look like dignified stone instead of plain old timber. but no, never, not once. It began to drizzle in earnest while I was on top of the Mount, so I decided to cut my visit short and head back toward DC. 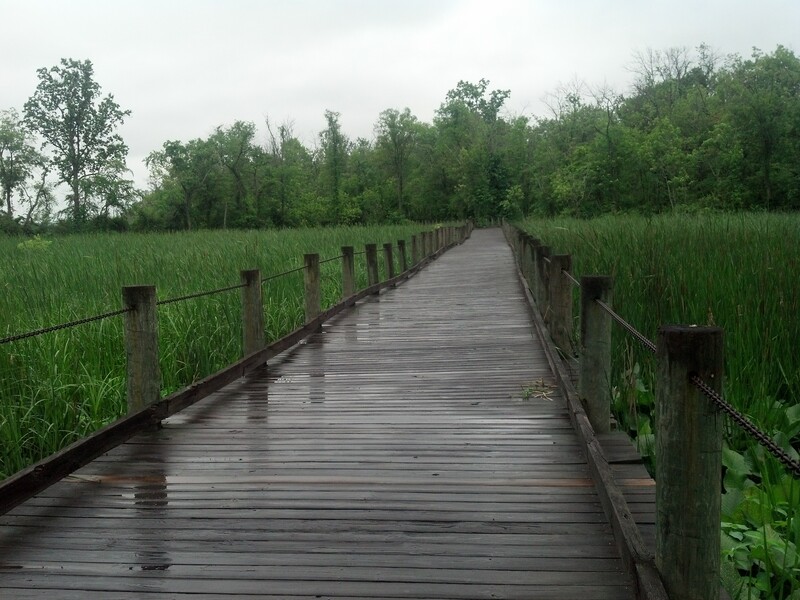 Again the heavens opened up, and as I cycled back with the Potomac on my right this time, I noted that the other women on the trail had vanished, except for me, and there were only a few determined-looking young male runners still out there. I enjoyed the view, of course. As they say, I’m old, but not dead. Wonderful. I remembered hearing about the rain, so was waiting. I seem to recall some reports of feeling like a drowned rat. Love hearing more detail, additional photos. More, please! Thank you so much for your encouragement! Yes, I was wet as a drowned rat after this ride, but it really didn’t matter. Martin and Patti were there to dry me off and whisk me to the next engagement.